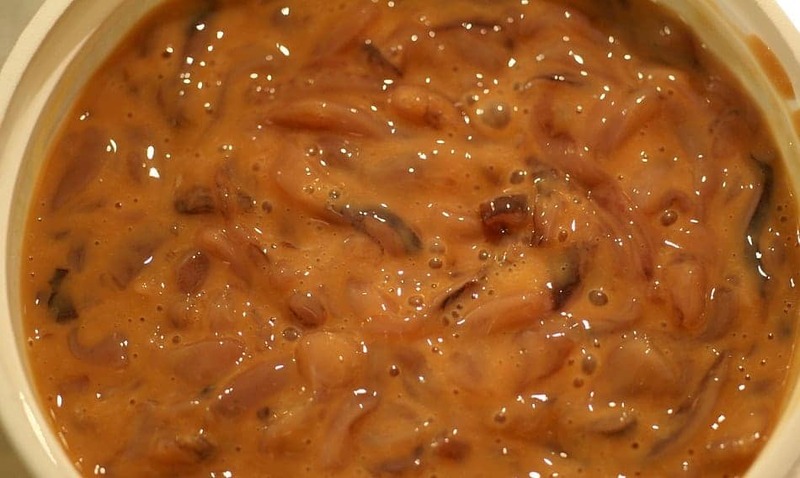 Shiokara is a Japanese food made from various marine animals including cuttlefish. It consists of small pieces of meat in a brown viscous paste of the animal’s heavily salted, fermented viscera. It is mixed with about 10% salt, 30% malted rice and packed in a closed container, left to ferment for up to a month. Shiokara is sold in glass or plastic containers.